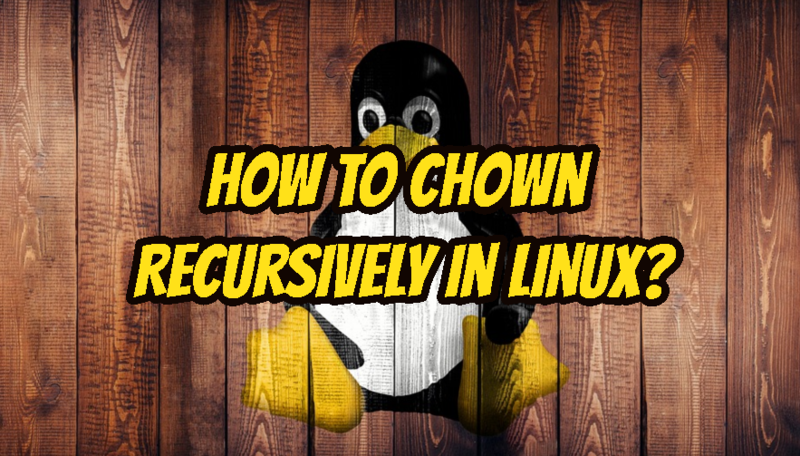 How To Chown Recursively In Linux? Linux files and folders have owners. Owners are required to control permissions. Which user user can access which files. User root created file will be owned by user root. But what will happen we want to change owner. We will issue the user, group information and directory to start with recursively. We will change owner and group which is specified with ismail:ismail in /home/ismail directory recursively. Keep in mind that to change owner user and group of files we need root privileges. While changing owner user and groups we can specify file types to recursively change. In this example find command is searching in /home/ismail for pdf extensions and run chown command for all files it founds. How To Zip, Unzip Files In Linux?